According to Cataldo, he was asked by another passenger if we was a Trump supporter. 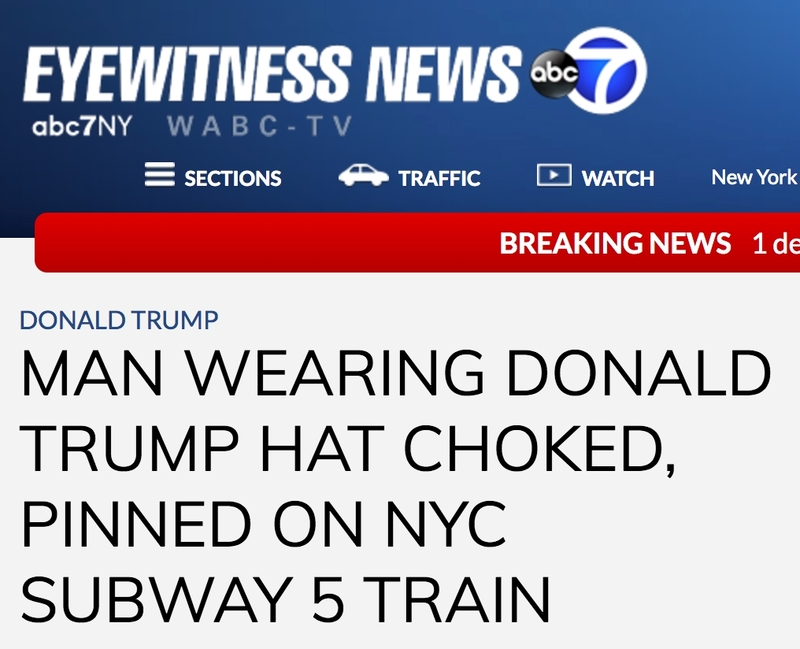 He thought the passenger was going to say “me too,” because he had gotten that a lot while wearing the hat, but instead the man placed his hands around his neck. He also noted that instead of receiving help, another person joined in. “I try to fight him off, and another gentleman comes over, pretends like he’s going to help me and says ‘get off of him.’ He shoves me up against the wall, up against the window,” Catlado said.